Meet the winner of our Super Scary 6 Sentence Storytelling Contest! Mary Anne (back row center) pictured with her granddaughters, husband, and daughter (the girls’ aunt). 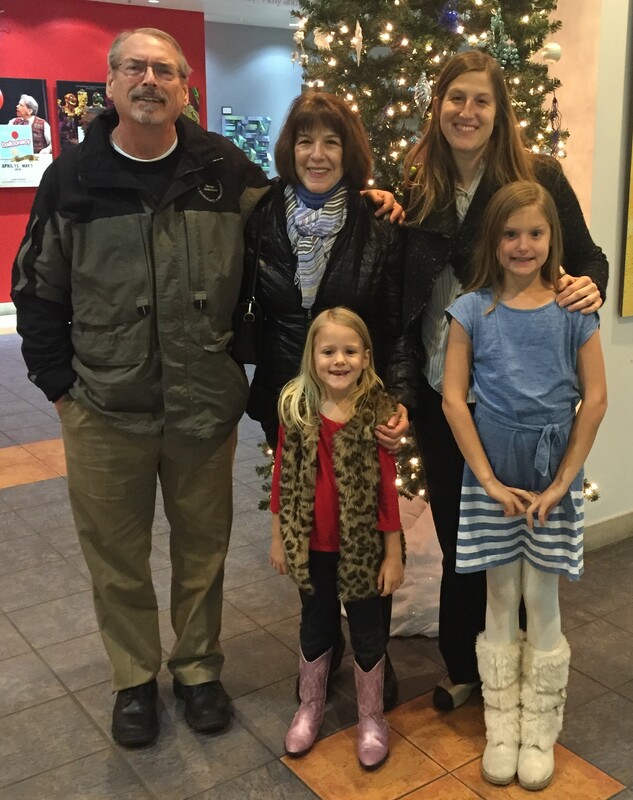 In 2015, Mary Anne Doom saw MIRACLE ON 34TH STREET with her granddaughters. When she visits her family in Texas for Thanksgiving each year, she makes it a point to check out the DCT holiday lineup. Mary Anne is a former English teacher who loves making up stories to tell her granddaughters. Her love of language and storytelling paid off, as she is now the winner of our Super Scary 6 Storytelling Contest! One day, after identical twin witch sisters Wendy, who was kind, and Wanda, who was mean, decided to attend the town Halloween party which required that everyone wear a costume, the two witches conspired to switch places and go as each other. Then Wendy dirtied her face, blackened her teeth, tangled her hair, put on Wanda’s shabby, soiled black dress and crooked hat and scrunched her face into the scowl she’d practiced for weeks. Next, after some coaxing from her sister, Wanda scrubbed her face, painted her teeth pearly white, brushed and curled her hair, put on Wendy’s clean, pressed black dress and starched hat and applied spider glue to pull the corners of her mouth into a permanent smile. 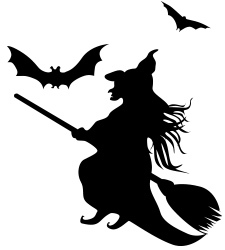 The townspeople, who knew the witch sisters well, created havoc when they cautioned each other to warmly welcome Wendy, the kind sister, but keep eyes on Wanda, the mean and unkempt witch, as she would definitely attempt to cause chaos, scare the children and steal their treats. Ever since then, the townspeople stopped judging others on appearance because at the party the adults kept close watch on Wendy, whom they thought was Wanda, which freed Wanda, whom everyone was convinced was Wendy, to put toads in the apple cider, rotten apples in the bobbing tub and spiders in the children’s hair, which made them shriek and drop their treats for Wanda to grab. 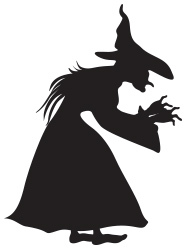 Round up your favorite witches for a fun, frightful performance this Halloween weekend. 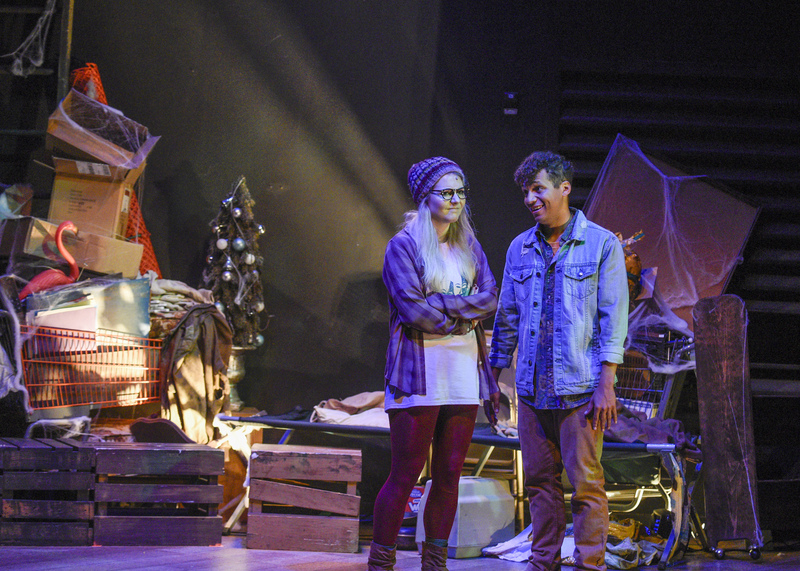 GOOSEBUMPS THE MUSICAL: PHANTOM OF THE AUDITORIUM must close this Sunday, October 29! Tickets on sale at dct.org. Many actors and designers say that the theater is like a second home; they love spending time and making memories with dear friends and family while working on a project. As part of our Finding the Way Home season, DCT wants you to feel comfortable when you’re here creating memories with family, too. To help you feel more connected to the theater, we’re featuring some of the artists who create the beautiful work you see on stage. In this feature, meet Aaron and Marco, our GOOSEBUMPS Artists at Work! 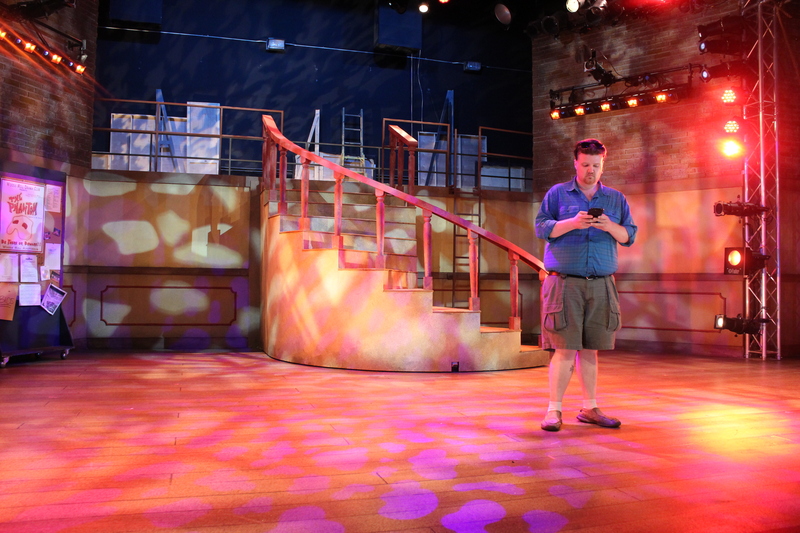 Lighting Designer Aaron Johansen (AJ) has designed five shows and counting for DCT, and has also designed many shows for the Dallas Theater Center, Kitchen Dog Theater and Cara Mía Theatre Company. 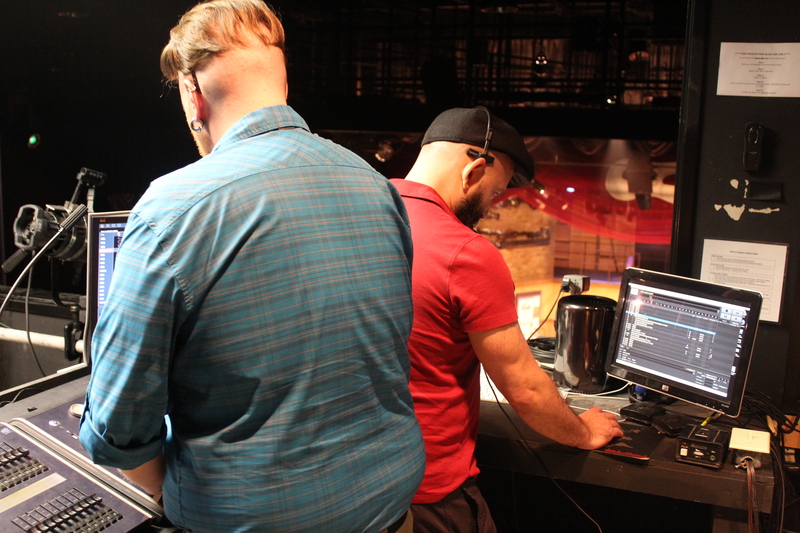 Sound Designer Marco Salinas (MS) has designed many shows for DCT over the last 18 years. He has also designed for shows as far away as New York City and Ireland! Aaron and Marco recently sat down with us to explain what special effects are; scenes in the show that wouldn’t be the same without their effects; and much more. DCT: Were you a Goosebumps fan before working on the show? MS: I’m a little too old to have been a Goosebumps fan, but they sound like a lot of fun. AJ: I was a huge Goosebumps fan when I was a child. I read all the books, I saw the TV show. I did everything, so when I found out I was doing this show I was thrilled. I went back and watched the original episode, “The Phantom,” which is terribly cheesy; it’s so funny. I think it’s so appealing because this is the type of scary that’s okay for children. It’s not gory; it’s just pop-out scary and mysterious. DCT: What is a special effect? MS: A special effect is something in a movie or a play that creates an illusion of something that isn’t really there. It usually does that through lighting or sound effects, and it helps the actors and audience believe something is happening that may not actually be happening. AJ: Exactly. Special effects are the use of lighting and sound combined together to create a specific situation, a special effect on stage – like making it snow or making it look like winter. DCT: What is your process for designing a special effect? AJ: My process of creating lighting effects is usually reading a script, seeing what the script calls for, and then adding my own artistic opinion to that. So, in this show, there were a lot of specific effects that needed to happen with the lights flickering when the phantom comes in and disappears, the lighting helps with that. We also go to a spooky basement, so I had to figure out how the lighting helps create that environment. MS: My process would be talking to the director, reading the script and coming up with sound cues myself. The publishers for this particular musical provided a lot of the music tracks that underscore the show and that the actors sing to. But I’ve also provided a lot of additional sound effects that did not come with the packaged sound cues. In this case, I did speak with the director, and we decided on the augmentations we wanted to kind of bring GOOSEBUMPS to life. DCT: What’s an example of a scene in the show that wouldn’t be the same without your effects? MS: The elevator sequence where the two main characters are in the audience. They idea is that they’re in this spooky basement then they hear a noise, and they look over and see the phantom briefly appear and then he runs off. Through the use of lighting and sound, we feel that we’re being immersed in the world of this spooky basement. It might seem like kind of ordinary without those cues to give the audience a sense of mood and place. AJ: I would have to say the moment for me is making the phantom disappear and appear. There’s certain places where if we didn’t have lights and sound, and we were in full lights, we couldn’t create those magical moments of the phantom being there one second and gone the next second. 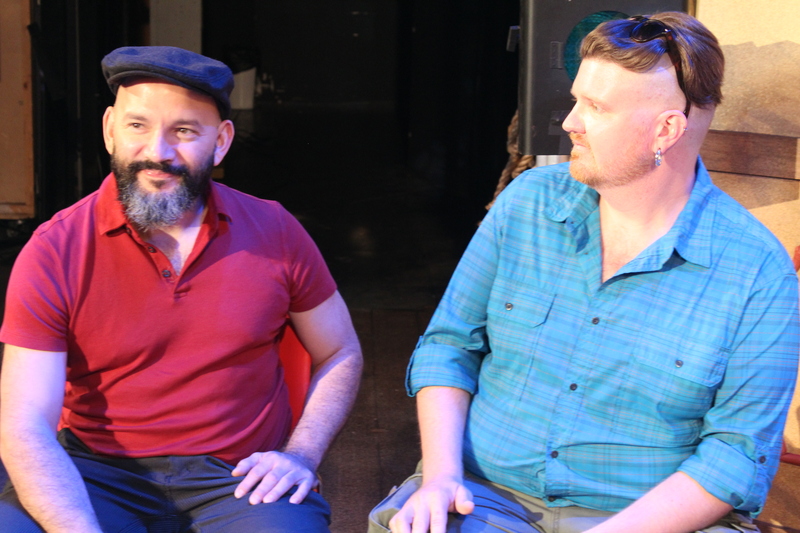 DCT: What would you say to someone who wants to become a lighting or sound designer? AJ: I think if you’re interested in getting into theater work, contact a theater to see if there are internships or volunteer opportunities available. That’s how I got started in theater, I volunteered at community theater and found what I loved, and I continued the passion. Whether it’s the creepy sounds or the ominous lights, let yourself feel the good kind of goosebumps. 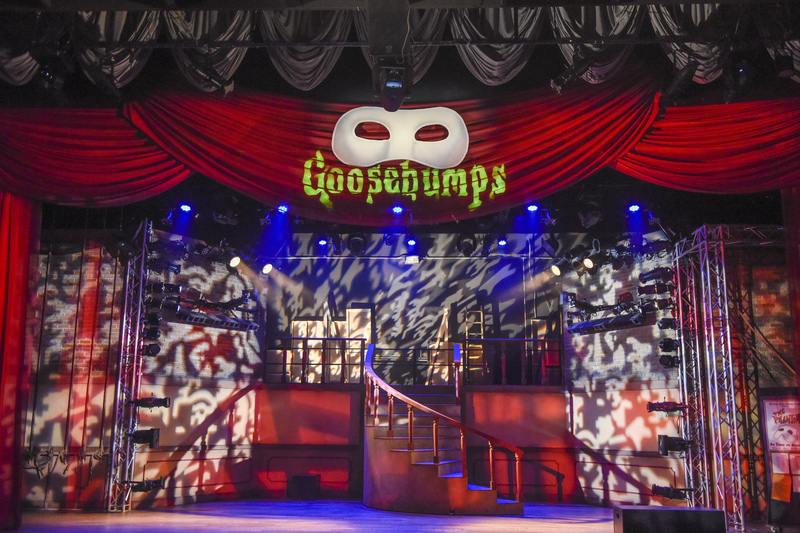 GOOSEBUMPS THE MUSICAL: PHANTOM OF THE AUDITORIUM is open now through October 29. Ticket on sale at dct.org.